Russian scientists helped finding gravitational waves. We only know one thing: we do not know nothing. 80% of our universe is invisible to us, however “this” just right now is among us, in a unknown dimension but keeping together our galaxy. Incredible. But one step is given and we must study it, every day, we must know. Perhaps our supervivencia, as mankind, is there. The breakthrough discovery of gravitational waves came as a result of a decades-long international effort. Thanks to the work of Russian scientists, the minuscule waves could finally be separated from other noises. RT spoke to the researchers involved. The “very weak spacetime wiggles” that travel through the universe at the speed of light have been detected by the Laser Interferometer Gravitational-wave Observatory (LIGO) in the US. The system includes two identical detectors designed to spot tiny vibrations from passing gravitational waves. A team of around a thousand scientists from around the globe work for the observatories, described as “the most precise measuring device ever built,” and it is the Russian researchers who contributed to the system’s precision mechanism. The Russian team, headed by scientist Vladimir Braginsky, started working on the very complicated engineering structure that later became known as LIGO in 1992, the media was told at a news conference in Moscow on Thursday, which was held simultaneously with Washington’s announcement from the National Science Foundation that funds LIGO. “We’ve been working since 1992, and eventually the universe has given us such a present,” the group of elated scientists said. 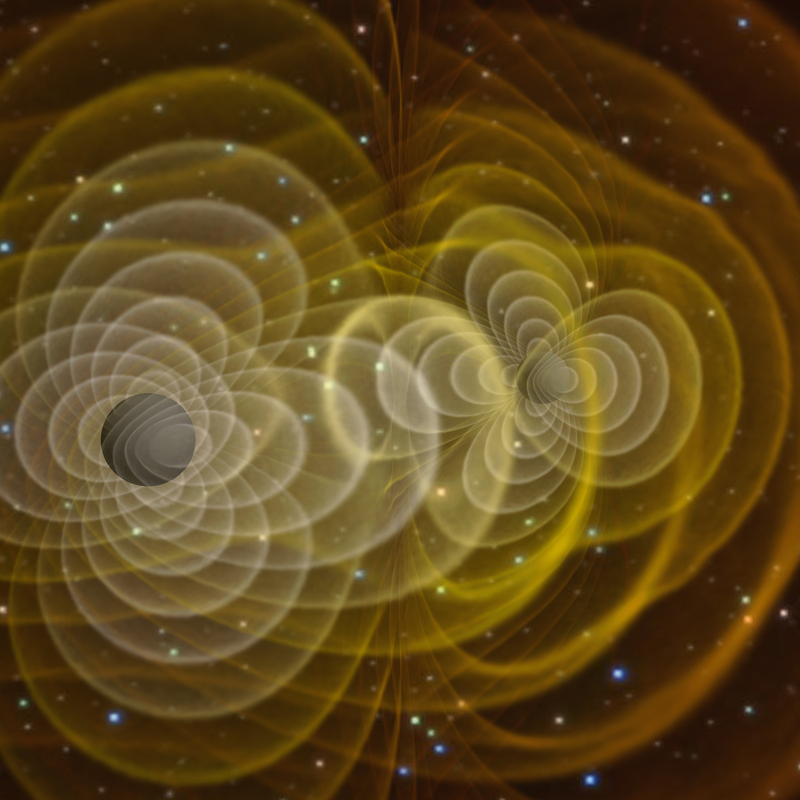 The gravitational waves signal recorded on September 14, 2015, had been produced by two colliding black holes, each about 30 times the mass of the Sun, which came together and merged. It’s the first time the collision of black holes has not been proven only theoretically, but “experimentally witnessed on Earth,” Russian researchers said, adding that such observations can be registered on our planet, millions of light years away from the collision, only if a “cosmological catastrophe with a huge energy outbreak” occurs. But even then, gravitational waves are minuscule, causing the distance of 4 kilometers (2.5 miles) between the detectors to change by ten to the power of minus 19 of a meter – and “that’s the main problem,” scientists said. Ways to measure such slight changes in distances were proposed by Russian researchers in the 1990s. Having managed to register the waves that could potentially be gravitational, scientists were then faced with a new challenge: to reduce the sources of noises in the detectors to help single out gravitational waves. “Everything causes noise: a car passing by, a plane in the sky, or even tiny movements of the Earth’s crust. Detecting a signal amid all this noise is extremely difficult, although of course there are methods, both mathematical and technological – and it costs a lot of money,” Doctor of Physical and Mathematical Sciences Pavel Ivanov told RT. Vladimir Braginsky, one of the pioneers of the gravitational waves research, and his team of young and enthusiastic physicists from Moscow State University worked on parts of LIGO, and particularly its sensor elements. Braginsky himself tried to build detectors to spot gravitational waves back in the 1970s. “In the early 1990s we started working on a quartz pendulum, aiming to reduce the time of its amplitude losses to minimize thermal noises,” said Russian Academy of Sciences member Valery Mitrofanov, who heads the Moscow group of scientists collaborating with LIGO. Physicists from Moscow State University also proved that it is molten quartz rather than sapphire that reduces noises better, and thus have discovered the new class of materials for the detectors, Mitrofanov added. Now Russian researchers work with LIGO detectors in the US and explore all kinds of noises to single out the ones coming from far away cosmic objects. A couple of years ago, LIGO registered a signal that all scientists involved were pretty much sure was gravitational waves, Mitrofanov said. But when everything was checked and double checked, it turned out the discovered waves were artificially initiated by an anonymous small group of researchers, to test the work of the detectors. Russian scientists contributed not only to practical advances to catch traveling gravity, but also made some breakthrough theoretical suggestions. The idea to look for the waves was put forward and published in science magazines by Soviet physicists Mikhail Gertsenshtein and Vladislav Pustovoit in 1962, and then developed further by academic Yakov Zeldovich and his followers. It was Zeldovich who told American astrophysicist Kip Thorne – the scientist at the forefront of LIGO’s work – that it must be black holes that produce the gravitational waves strong enough to be detected. Decades later, the official announcement of the final discovery of the waves paved the way for a new era in astronomy, researchers said at the Moscow briefing. “A new channel for receiving information about the universe from space is now open,” Mitrofanov said, adding that after the breakthrough detection in September more gravitational waves – but less intense – have already been observed. Scientists now hope that they might register the waves once a month. However exciting the discovery is for the science community, it will not have an immediate impact on our everyday lives, another scientist from the Russian group working with LIGO, Leonid Prokhorov, told RT. “On the other hand, to discover the waves we have developed a number of technologies, including laser and seismic know-how, that can be widely applied,” Prokhorov told RT. Esta entrada se publicó en Gravitón y está etiquetada con Albert Einstein en 13 13-04:00 0202 13-04:00 2016 por Jimmy Olano.